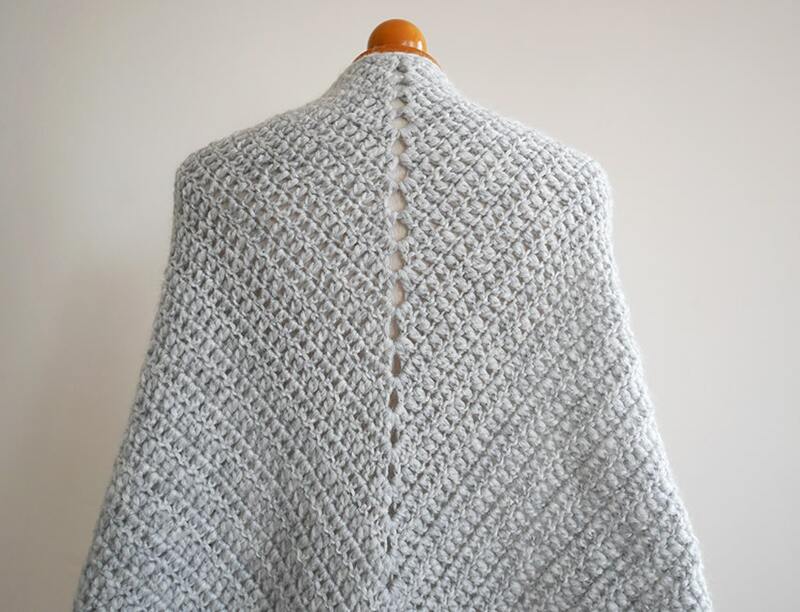 Shawls don’t have to be a thing of the past or a garment that only grannies use to wear. They can be trendy and stylish and they are so many out there that you might not know where to begin with. 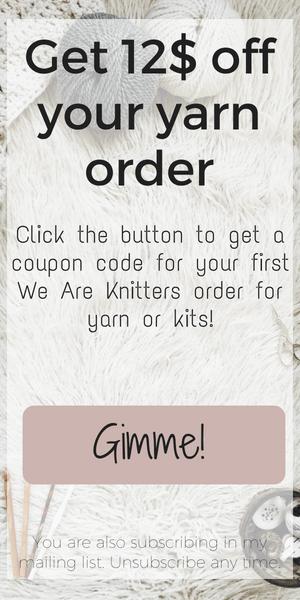 Well, if you are a new crocheter you can start with this one! 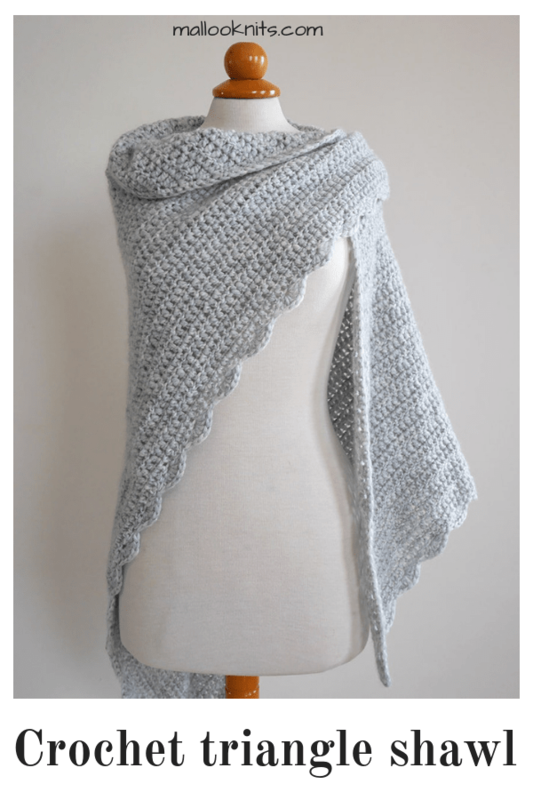 The beginner triangle shawl is here just for you! 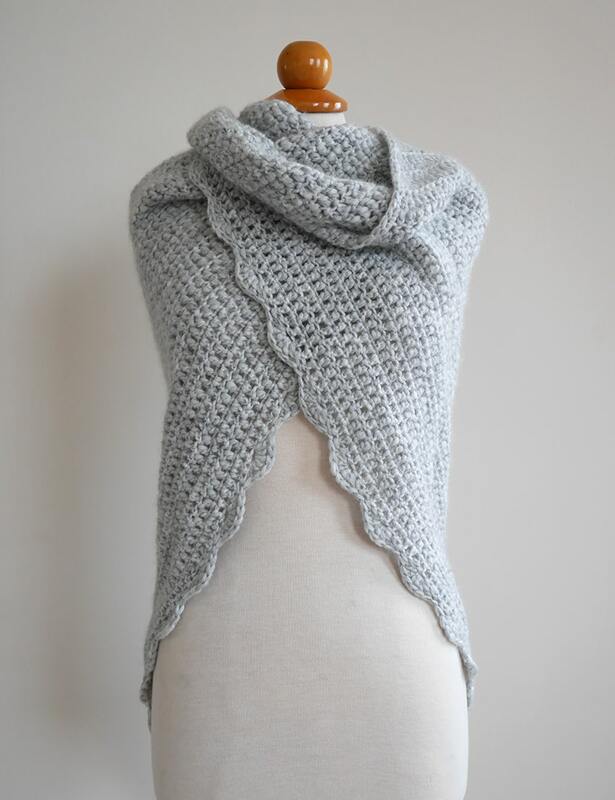 This crochet triangle shawl was created with the beginner in mind. As I said, there are so many out there, extremely beautiful shawls. Most of them are knit with intricate stitches but the number of crochet ones increases by the day. I wanted every new crocheter to feel confident to make such a big project, without doubting themselves. 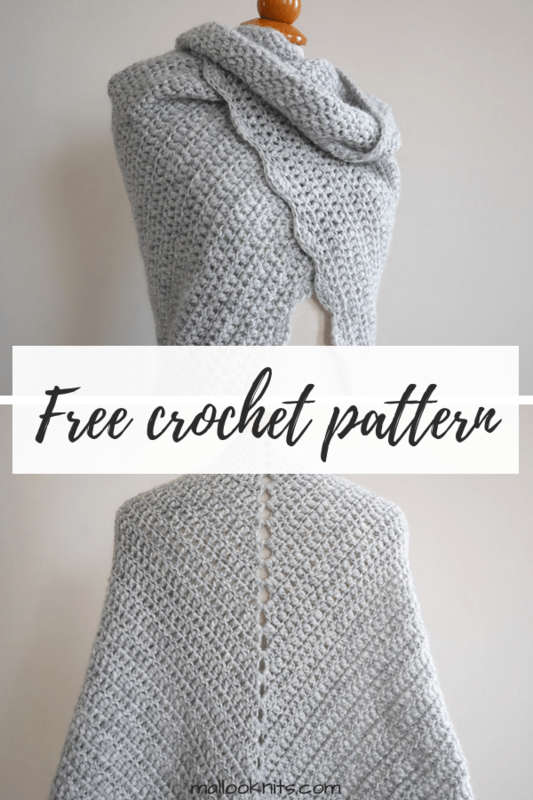 That is why the pattern uses only double crochet stitches and chains. Ok, and some single crochet, and nothing else. I promise! And when I say big project, I mean it! 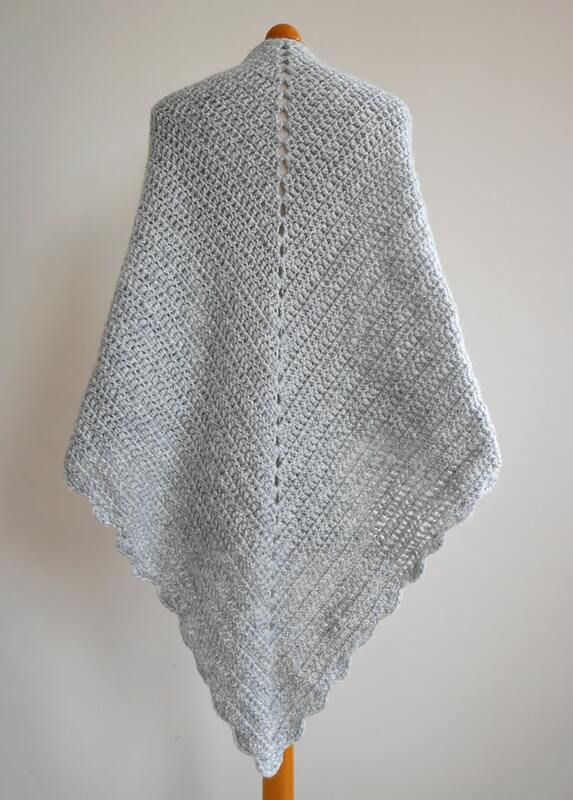 The beginner triangle shawl is approximately 60 inches (152 cm) wide and 38 inches (97 cm) tall. The truth is that you could make it smaller if you like, you can stop at any point, but why would you? Go big! The yarn was once again, so kindly, provided by the nice folks at Hobium Yarns. We are talking about the Gazzal Nordic Lace which is a wool and acrylic chainette yarn. It is soft and hairy, and it has the most beautiful heather tones! This was the fact that won for me. I loved that the color was not solid and you can pick one color for your crochet shawl and you will end with a glimmering result. That is also the reason why I chose such simples stitches and design. The yarn does all the work for me! You really can’t tell from my photos how beautiful this yarn is! 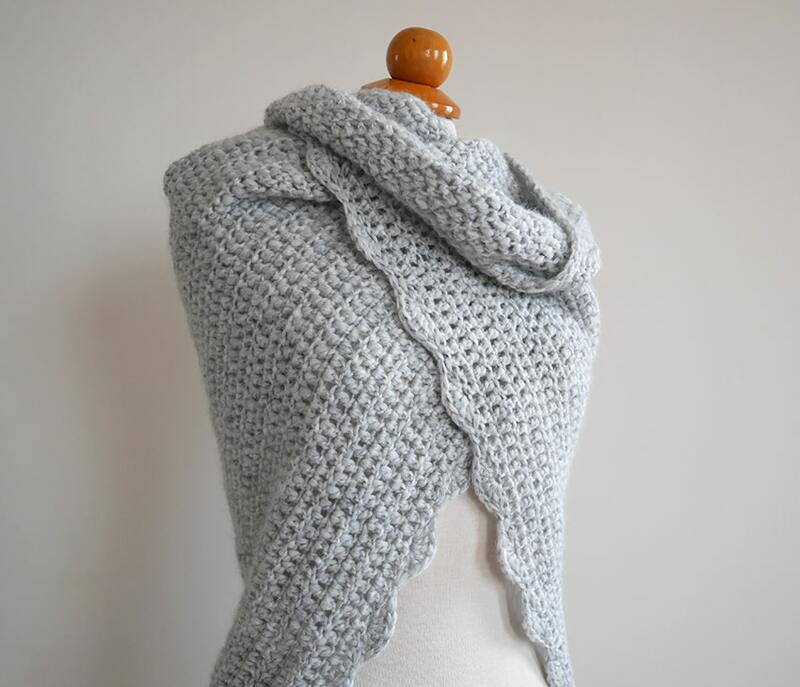 I would definitely recommend it for making your shawl. 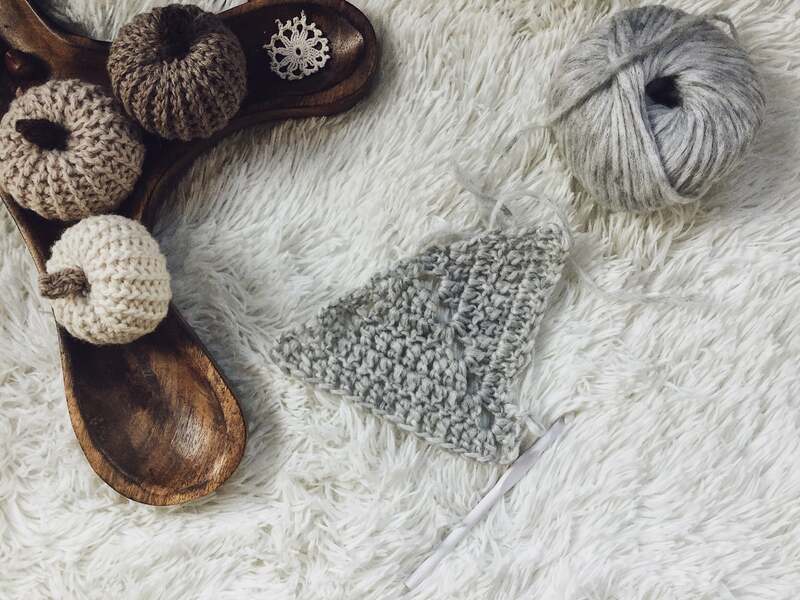 Are you ready to make your own Beginner Triangle Shawl? 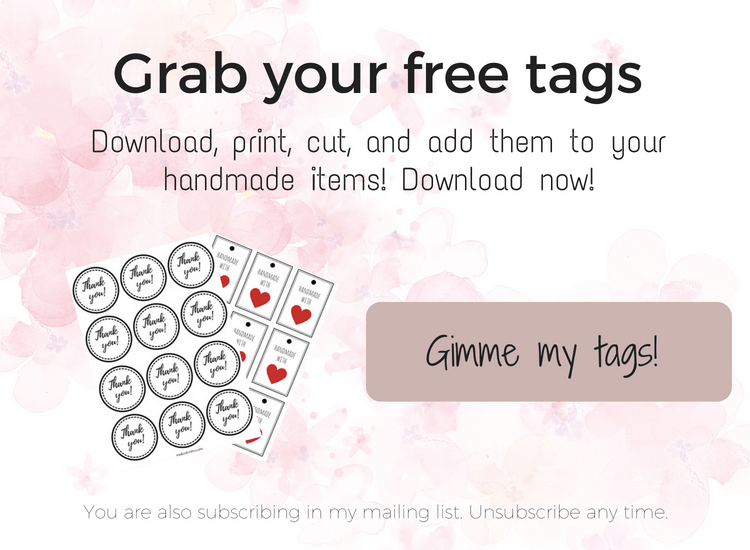 Head over to the Hobium Yarns blog and get your free copy!